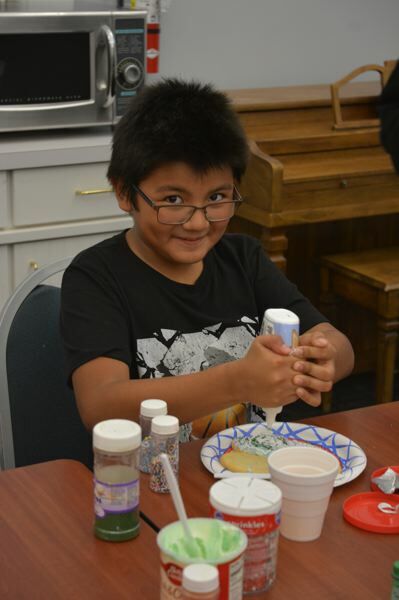 Moises Vasquez, 10, puts the finishing touches on a sugar cookie Friday, Dec. 14, at the Scappoose Public Library. The free cookie decorating session featured festive frosting and sprinkles for kids in grades six through 12. 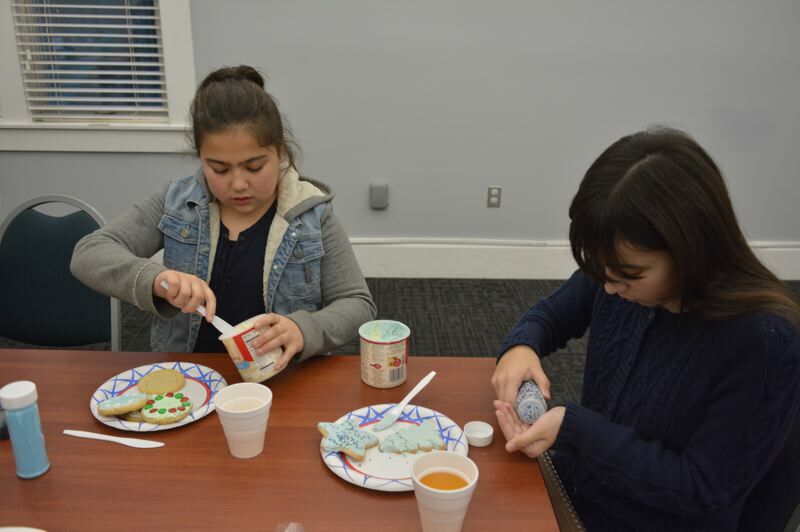 Matika, 10 and Althea Pisha, 12, pick out sweet decorations for Christmas cookies at the Scappoose library. Tweens and teens were invited to come decorate cookies and enjoy the fruits of their labor.